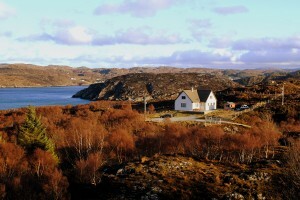 Welcome to Badnaban, a small crofting township in the beautiful, scenic and peaceful North West Highlands of Scotland. Close to the picturesque fishing village of Lochinver, with superb views over the sea loch, hills and the rugged landscape that typifies this area. 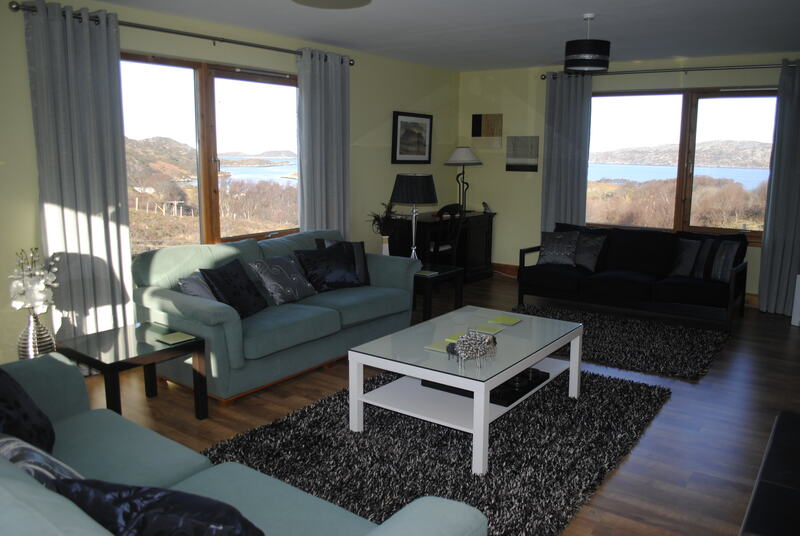 The large, spacious and very well appointed self-catering accommodation is set in a secluded spot, with a lovely private feel, on the side of a hill overlooking the islands and bay of Lochinver. Situated by itself at the end of a private road, the holiday cottage is in an ideal spot to relax in the peace and quiet of the Highlands or to use as a base to explore the exceptional beauty of the nearby surroundings and beyond. 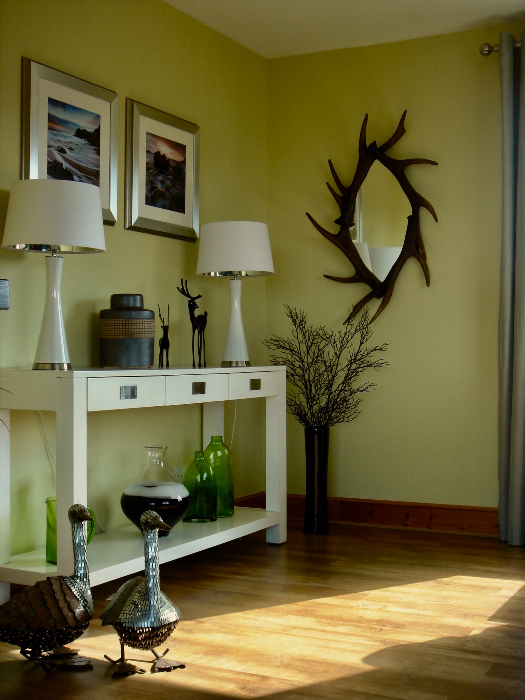 The beautiful, bright and comfortable holiday cottage accommodation has been completely refurbished to a very high standard. On the ground floor there is the large self-catering kitchen offering excellent cooking facilities with a halogen hob, electric oven, microwave, fridge freezer, dishwasher etc with all the cooking utensils you will require. A breakfast bar separates the kitchen from the dining area, which has a large dining table to seat 8, freeview TV and fantastic views over the bay. 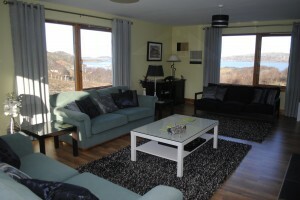 The large, comfortable and well furnished lounge has an open fire, freeview TV, a DVD player, an iPod/MP3 docking station, plenty of sofas and uninterrupted panoramic views from the 3 large windows of the surrounding hills and sea loch. There is a separate utility room with a washing machine and a tumble drier. The utility room also has a dehumidifier, both clothes and shoe/boot racks which allows it to be used as a drying area for wet outdoor clothing. Also on the ground floor is a double bedroom with plenty of storage space and a family bath/shower room next door. A further two large double bedrooms can be found upstairs as well as a shower room. Assynt Angling Where to find out about your fishing needs in Assynt. Assynt Leisure Centre Our local sports and leisure centre. NLS 1774 Survey of Assynt John Home’s survey of Assynt hosted on the National Library of Scotland website. Walking in Assynt A very comprehensive list of walks and climbs around Assynt.